A recent study carried out by the Cleveland Clinic revealed that the Apple Watch was best for heart rate monitoring from the wrist. But as is often the case with a lot of these studies, we had some big question marks over how these tests were done and the conditions. For starters, the Apple smartwatch was up against some old devices like the Fitbit Charge HR, which has since been usurped by the Charge 2 for instance. We've tested a whole lot of wrist-based wearables with built in optical heart rate monitors and we could probably pick out just one we'd happily recommend for delivering reliable readings. While many persevere with moving the sensors to the wrist, there's numerous factors that can affect heart readings there including getting good contact with the skin. So it comes as no surprise that some companies are beginning to explore other parts of the body in the quest to prove that you can use optical sensors and get the accuracy that we and the rest of the wearable buying public crave. Here's who's getting it right and who needs to put more work in getting heart rate right. Jabra released its first biometric headphones back in 2014 and the new Jabra Pulse Special Edition continues to measure heart rate reliably from the ears. Why did they choose the ear? Because it's packed with small blood vessels and is a prime place for the 'optomechanical' sensor built into the Pulse to take readings. Jabra partnered with biometric sensor specialists Valencell who also make sensors for LG's heart rate headphones, the Scosche Rhythm+ and the Atlas Wristband. In our experience, the heart rate monitoring has been top notch and is a great alternative to the flaky wrist based wearables if you're happy to take your smartphone into the gym or outdoors when you're working out. Moov HR is looking higher up the body as well with its latest wearable, a sensor that sits inside a headband or a swimming cap. According to the company, positioning the sensor to the high temples on the side of the head where the skin is thinner, sensor movement is reduced and there's increased blood flow, makes for more reliable readings. 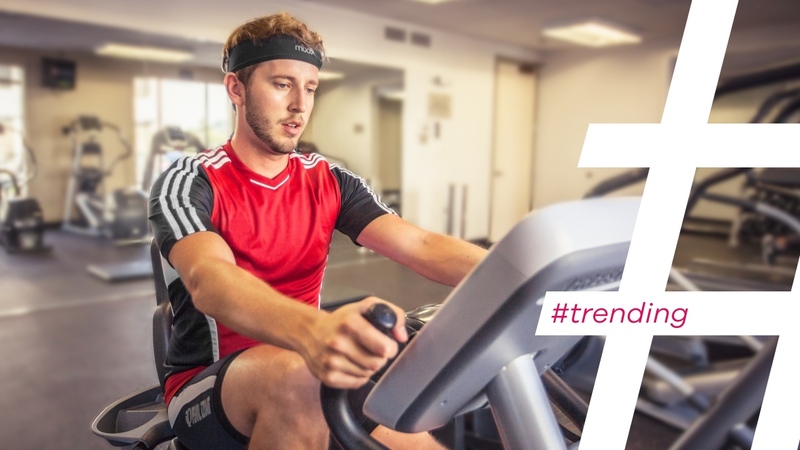 We've had a brief try of it and while we'd need to spend more time to verify whether it's more accurate than a wrist based device, there's no escaping that pulling off that headband look is not going to be for everyone. In theory, aside from a chest strap, this should be the next best way to measure heart rate. Companies like Athos, Hexoskin and OMSignal among others have woven sensors into the fabric, so when you pull a shirt or sports bra (like the OMsignal OMbra pictured above), the sensors are nice and close to your body and chest to churn out the reliable data. In our experience though, it doesn't quite work as advertised. The fit for smart clothing needs to be perfect and is not very flattering to wear if you're not already in great shape. If you don't get the right fit, it can effect those sensors ability to deliver accurate data. Looser fitting smart clothing that can still track biometric information like heart rate seems like the impossible dream right now. Maybe it will change in the future. Maybe.